Online registration is now closed. We will take at the door registrations on a space available basis. Join us as we introduce the latest research in the advisor’s alpha series aimed at helping you and your practice thrive in this ever-changing industry. More than 15 years ago, we created the advisor’s alpha concept to help advisors redefine and articulate their value proposition from one solely based on investment performance to one focused more on relationships and holistic wealth management. This evolution in our research addresses ways to adapt and evolve in the face of new regulation, changing investor preferences, emerging technology, and the impact trust has on your client relationships. Understand that clients care about more than just performance. Learn about how increased attention to clients can yield real business results. Learn about ways to shift your focus and boost results through technology and managed solutions that streamline onboarding and portfolio construction. Hank Lobel, CFA, CFP®, is an investment analyst with Vanguard’s Investment Strategy Group. In this role, Mr. Lobel is part of the team responsible for overseeing the investment philosophy, methodology, and portfolio construction strategies used to support Vanguard’s advisory services, products, and strategies. His areas of expertise include portfolio construction and financial planning, with extensive experience advising both clients and advisors on tax-efficient portfolio design, retirement distribution strategies, equity compensation, and estate planning. Before joining the Investment Strategy Group, Mr. Lobel was a senior financial advisor with Vanguard’s Personal Advisor Services. He has over 13 years of industry experience as a financial advisor, manager, and financial planning consultant, working with a diverse range of clients and strategies. Mr. Lobel is a CFA® charterholder with the CFA Institute and a CFP® practitioner with the CFP Board of Standards. Mr. Lobel earned his B.A. from Concordia University and his M.B.A. from Chapman University. Bridgeway Capital Management believes that a disciplined, statistical process — grounded in academic theory and fundamental data over long periods of time — drives success in long‐term investing. In this presentation, Christine will provide an overview of quantitative investing and discuss some of the market inefficiencies created by behavioral biases and market limitations that we believe a systematic and disciplined approach can exploit. Behavioral biases limit investors' ability to capture returns of well-documented drivers of higher expected returns. Christine will consider how a quant focus can address these biases. Bridgeway’s philosophy compels us to identify unique ways to gain exposure to a set of proven, systematic factors and keep the emotions that plague most investors out of the process. 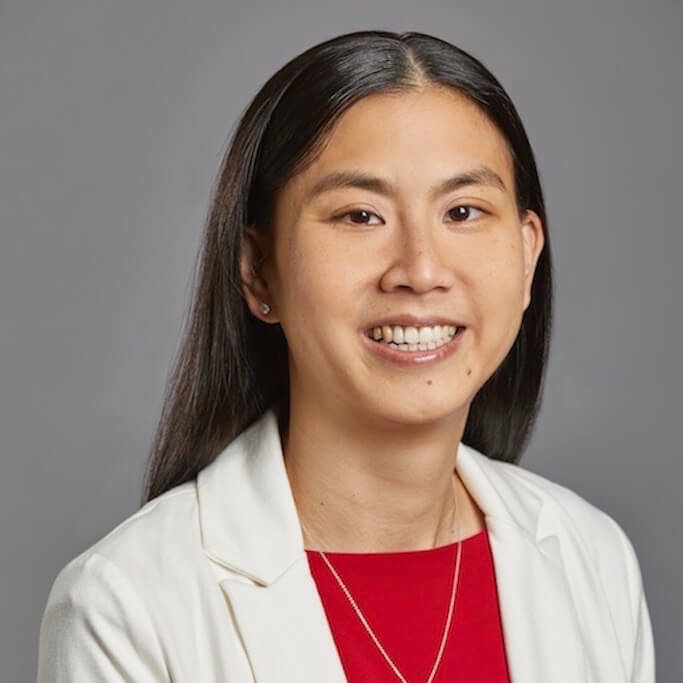 Christine L. Wang, CFA, CPA is a portfolio manager at Bridgeway Capital Management. Her responsibilities include portfolio management, investment research, and statistical modeling. Prior to joining Bridgeway in 2008, Christine worked in public accounting with a focus on energy trading and risk management. Christine holds an M.S. in Accounting from the University of Virginia and a B.A. in Sociology and Managerial Studies from Rice University. She is a CFA charter holder and is licensed as a Certified Public Accountant in Texas. As part of her service commitment, Christine has participated in several Bridgeway service trips to Peru, Honduras, and El Salvador, where she helped build water wells with Living Water International.